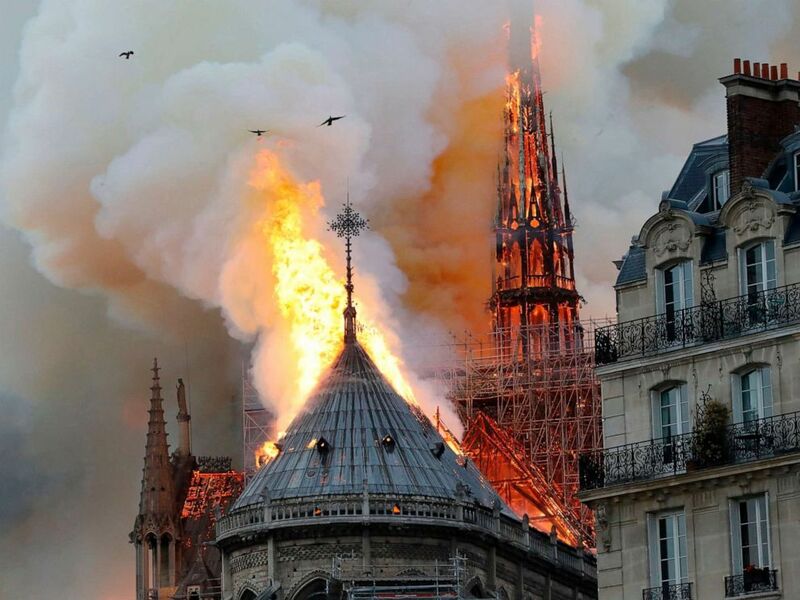 The 300-foot spire toppled over in flames on Monday night as a massive fire engulfed the world-famous medieval Catholic cathedral, an 850-year-old landmark situated in the middle of the Seine river on a tiny island within the French capital. Firefighters battled the blaze for nine hours before quelling the flames. Smoke and flames rise during a fire at the Notre-Dame Cathedral in central Paris on April 15, 2019. The cathedral was partially encased in scaffolding while undergoing a $170 million renovation at the time of the blaze. Much of the ribbed oak roof, made up of centuries-old wooden beams, was destroyed. Yet, despite the extensive damage, which will take years to repair, the facade of the historic edifice appears to be mainly intact with its belfries and many other iconic features spared. 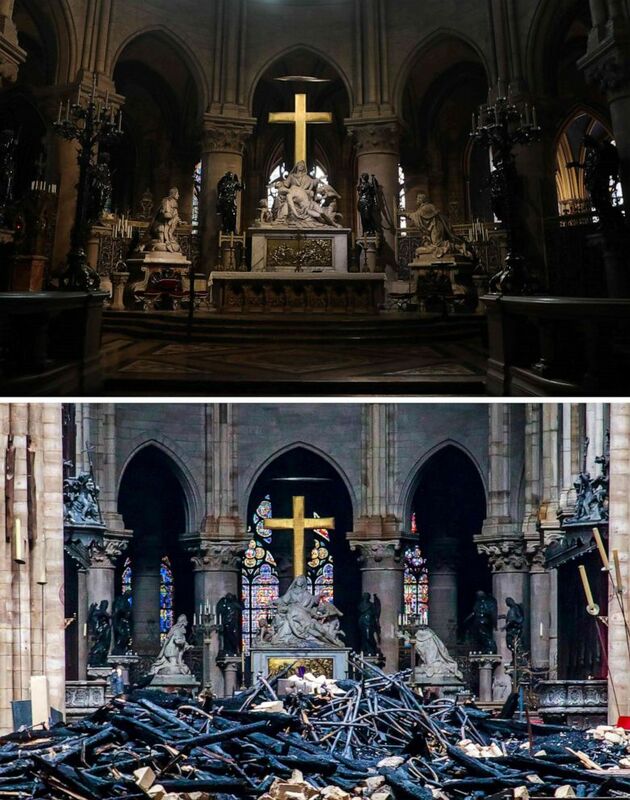 A combination of two pictures made on April 16, 2019, shows above: the heart and transept at Notre Dame de Paris Cathedral in Paris on June 26, 2018, and, bottom, the same view in the aftermath of a fire that devastated the cathedral on April 16, 2019. Msgr. 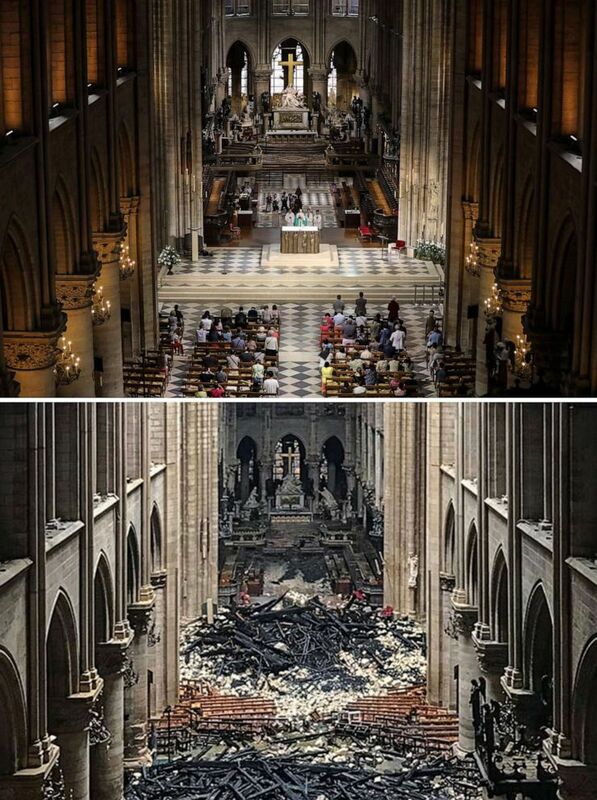 Patrick Chauvet, who was at the cathedral when the flames erupted during a mass, told reporters the famous 18th-century organ, which boasts 8,000 pipes, and three rose-stained glass windows, which date back to 1250, both survived the inferno. 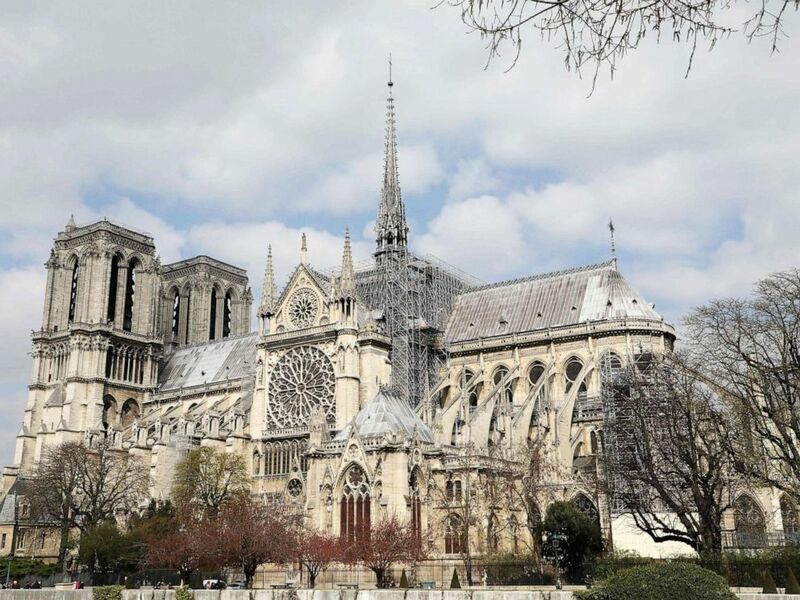 Valerie Pecresse, president of the Ile-de-France region that encompasses Paris, called it a "miracle" that the walls of the Gothic cathedral are still standing. A picture taken on March 27, 2019, shows a scaffold during the restoration of Notre-Dame de Paris cathedral, in Paris.